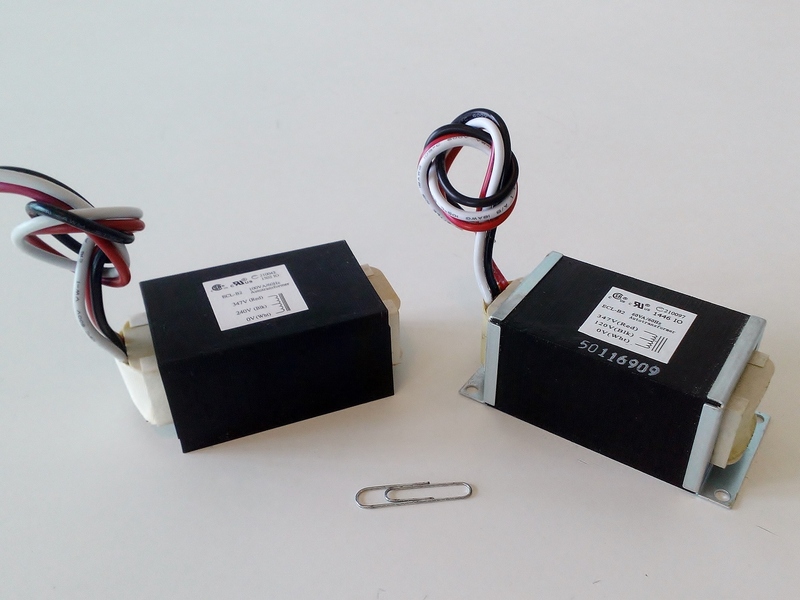 Shown are the popular mid-range power versions of our popular OPEN Internal-Mount Style step-down autotransformers; UL Recognized (C-US). Available with or without brackets as 347:240V@100VA, 347:120V@60VA, 480:240V@75VA and 277: 240@240VA. Also available as a UL Listed ENCLOSED IP66 external mount. Refer to the Slim Line table of parts for further details on all available sizes and ratings of parts.